Welcome To Laken Inflatables! Book Online Today! amazing friendly service great castles, clean and caters for all age groups... A************ love them. Great customer service and fab castles, thank you. 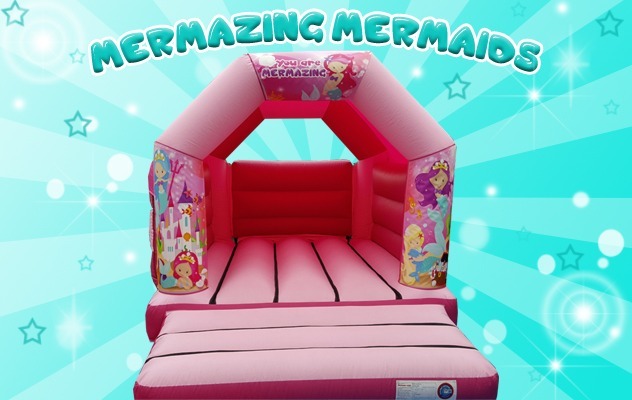 Her we have a Mermazing Mermaid Bouncy Castle for hire throughout Spalding, Boston, Horncastle, Sleaford, Coningsby, Wyberton and all surrounding areas. 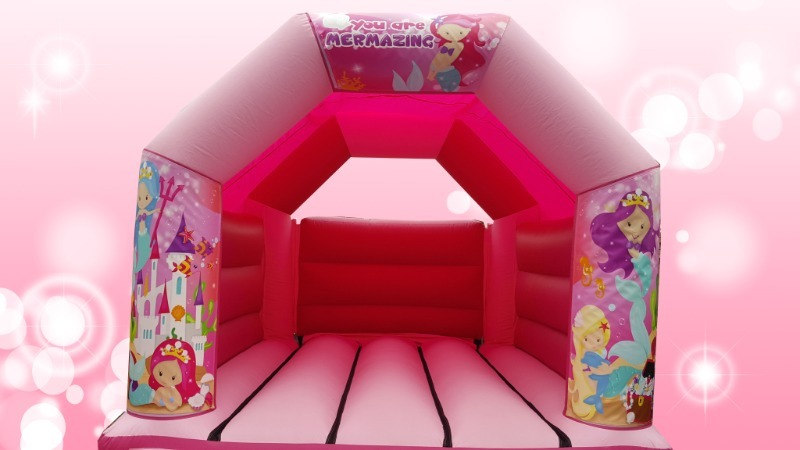 Mermaids seem to be growing in popularity along with the ever so popular Unicorns, so here at Laken Inflatables, we are always looking at ways to increase our range to the popularity of themes and products. We wanted to offer something as pink as possible, unlike most mermaid themes which come in tones of blue we thought we would switch things up with our latest mermaid design to add mermaids with a twist. Our mermaid design has been designed by ourselves so there is no other design like it, cute and unique it benefits from a range of cute colourful mermaids, sweet seahorses, brightly coloured fish, lots of sparkles and sunken treasure as well as an under the sea mermaid castle. 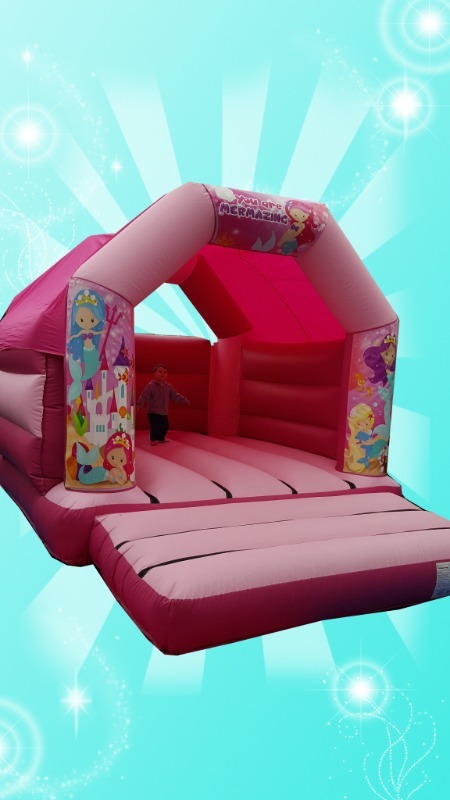 This 11x15 castle is a very popular choice for hall hires and garden parties, ideal size to fit in most halls with the open front so you can see your little ones whilst they are enjoying themselves, with a pale pink bed base which has a great space for bouncing and bright pink walls, this is definitely as PINK as it can get. This castle also benefits from a fuchsia pink built-in roof which is shower proof and also acts as a sunshade in the summer months for those fantastic sunny days. This castle is suitable for children up to the age of 12 years old, unfortunately, this castle isn't built to withstand the use by adults. If you're looking for something extra to go alongside this wonderful bouncy castle then please check out our add on page where we have addition mermaid items for hire along with animal hoppers, space hoppers, didi cars, ball pools and much more! Take a look at some of our stunning products available to hire today! Laken Inflatables © 2018. All Rights Reserved.